Power Slots Casino will then reward you with a bonus (Welcome Bonus is for new players only). The terms and conditions of the bonuses vary between different casinos and might also change over time and between different countries, so it is important to compare the different offers and read the T&C for Power Slots Casino before signing up. This both instant play and mobile online casino boasts spectacularly and refreshingly innovative looks capped with a palette of various colours that excellently complement each other. The overall site organisation makes it very easy to find one’s way around the place, and the one-click system further facilitates the navigation. The interface is simple yet effective, and appeals to all sorts of players. Safety-wise, Power Slots Casino utilises the latest SSL (Secure Sockets Layer) encryption, which guarantees complete protection of your sensitive data. Furthermore, as Power Slots Casino hosts Microgaming’s platform, which is a strictly tested suite, you can enjoy your playing without a worry – all is fair and well at Power Slots Casino. What the only issue at this online casino might be is that that it is restricted in many countries and territories worldwide. Unfortunately, numerous European, Asian, African and American countries will not be allowed access to the site. 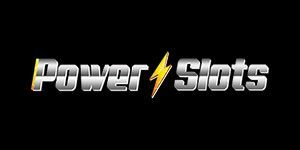 Power Slots Casino holds licenses issued by the two most rigorous regulatory bodies – the UK Gambling Commission (UKGC) and Malta Gaming Authority. Owned by Progress Play Limited, Power Slots Casino is the mighty place to gamble online that offers a litany of games that include video slots, progressive jackpots, casino games and live games, scratch card games and even esports. Launched in 2014, Power Slots Casino has fathomed a potent team of supporters to supply its library with power titles. The online content providers backing up Power Slots Casino include the giant Microgaming, NextGen Gaming, NetEnt, Genesis Gaming, Igaming2go and 1×2 Gaming – a typical assemblage of a Progress Play casino. It is the company’s proven recipe for success. Having NetEnt and Microgaming slots on board means that the online casino plays no games. The lobby encompasses branded titles that include blockbusters, references to pop culture and music legends. In that light, you can enjoy Game of Thrones, Ted, Jurassic World, Jimi Hendrix, Motorhead, Guns ‘N’ Roses, Lara Croft Tomb Raider, Terminator 2, and Hitchcock’s classic Psycho slot. As for more traditional punter, Foxin’ Wins and its Christmas edition A Very Foxin’ Christmas, Gonzo’s Quest and the like are at your disposal. Supernatural slots like Blood Queen, Witches Wealth and Owl’s Eye are of course featured, and as the portfolio is updated virtually on a daily basis, newcomers like New Romanov Riches, Twin Spin, and Racing Rhino have settled in Power Slots Casino’s quarters. Table games include Blackjack and Roulette, and a number of their modern variants like Mike Tyson Roulette, Premier Roulette and Multi Wheel Roulette. Scratchers are present in the form of Sunset Delight, Boss the Lotto, Turning Totems, Monster Wins, James Dean and about a dozen others. If you are keen on video pokers, you can play on Jacks or Better and Deuces Wild. Nestled among casino games, you can find Power Slots Casino’s live dealer games. The assortment encompasses Live Roulette and Live Auto Roulette, and a few of their variants. What we would prefer in this section is a filter engine so as to facilitate the search, but some of you might not mind it at all. A real dealer will deal for you in real time, anytime around the clock, you just need to pick a game and relax. All rules applied in traditional casinos apply at Power Slots Casino, and what’s best is that you are not required to download any apps – you can play from any browser, either on the desktop, a smartphone or a tablet. This flashy online casino allows a wide range of payment methods and currencies in its orders. The tender accepts British pounds sterling, Euros, American dollars, Canadian dollars, Australian dollars and New Zealand dollars. As far as banking options go, you can opt for ewallets like Neteller, Skrill, Ukash, Paysafe Card and iDEAL, as well as pay by phone options for deposits and bank wire transfers for withdrawing cash. Regarding credit cards, you can go for Visa and MasterCard both back and forth. Every 30 days you can withdraw 3,000 at most, and it will take you only up to 72 hours in total for ewallets, and about 5 days for other options. At any point during the night or day, a responsive and efficient customer support team agent is waiting for your enquiry. Operating 24/7, the Live Chat service is the most popular among players, as it provides instantaneous assistance with anything players might need help with. Other forms of client support are also available 7 days a week and they include a comprehensive FAQ list with commonly asked questions found under ‘Support’, as well as filling out the on-site enquiry form. If you choose the latter, a customer service agent will reply to you within 24 hours; all you need to do is provide your name and email address.